rolling hills and vales we had driven through earlier that day. 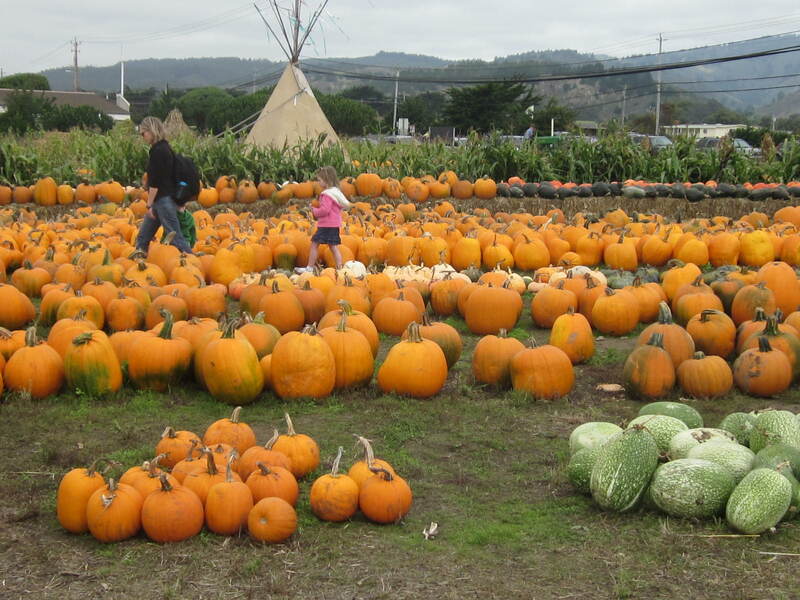 Once settled in Monterey we sifted through the leaflets in the motel reception for ideas of what to do in the surrounding area. We thought we would only be staying one night and move on south after visiting Carmel (Phil was convinced we would bump into Clint) but that was not to be. There was so much to do in the area. I discovered we were not far from where Steinbeck was born and raised and, having recently read Of Mice and Men with my Make Friends with a Book group, I was keen to visit. 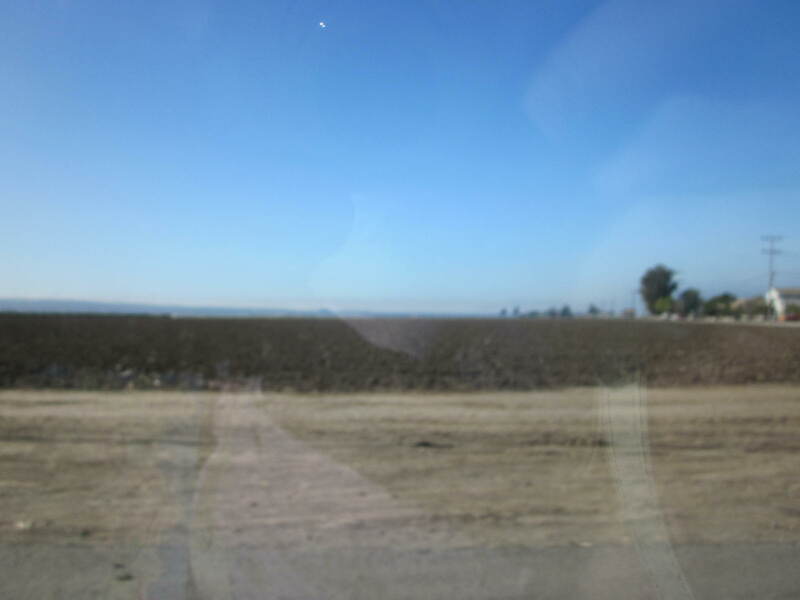 We headed back to Salinas, a town surrounded by the dark and never-ending fertile plains we had driven across the day before. And immediately I understood how this landscape would have influenced Steinbeck’s writing. There were people still toiling in the fields and digging up vegetables by hand just as George and Lennie had. This was a farming system that seemed very labour intensive. Steinbeck was no stranger to such work himself, he worked on the farms in his summer holidays. I am sure he met people then who would become the basis of some of his characters. I cannot say I liked Salinas. It was a featureless town built on a grid. 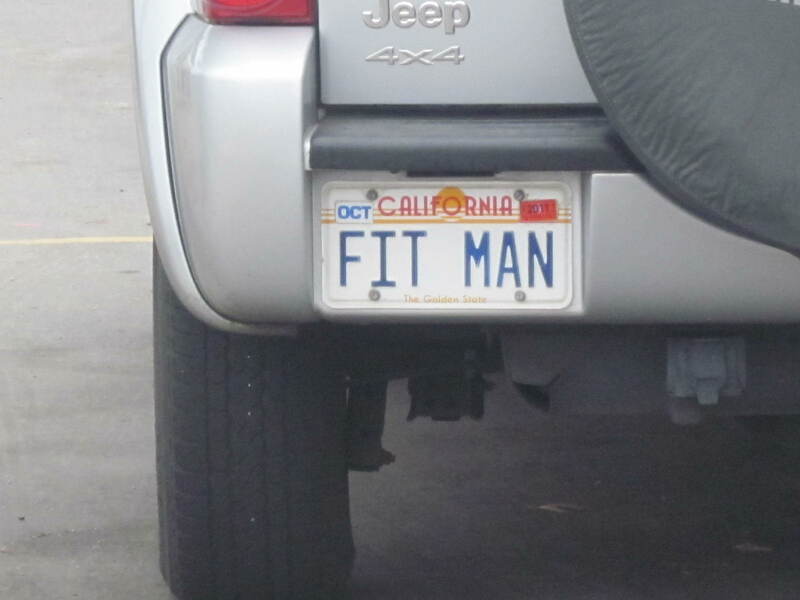 The car park was full of big station wagons with number plates like this. It was a gritty place with gritty people. A real contrast after San Francisco with its hills and Bay Area. Yet near to the National Steinbeck Center art was fighting back. And I discovered that in addition to the gritty novels that he wrote Steinbeck was famous for, he was also a traveller. 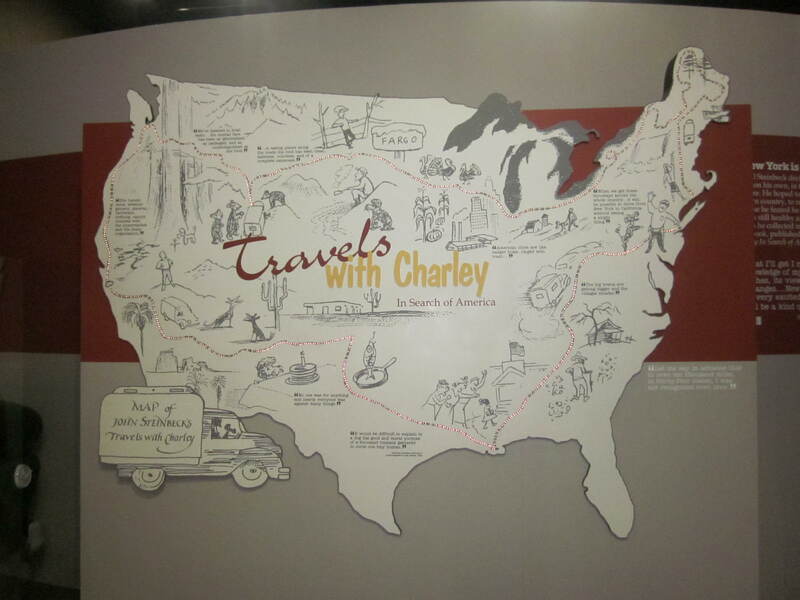 He had lived in England for a while and had also been on his own road trip of America, documented in the book Travels with Charley. He had a pretty cool vehicle to travel in. We had lunch in his former home, which I wrote about in this post Lunch with Steinbeck Dinner with Forrest. 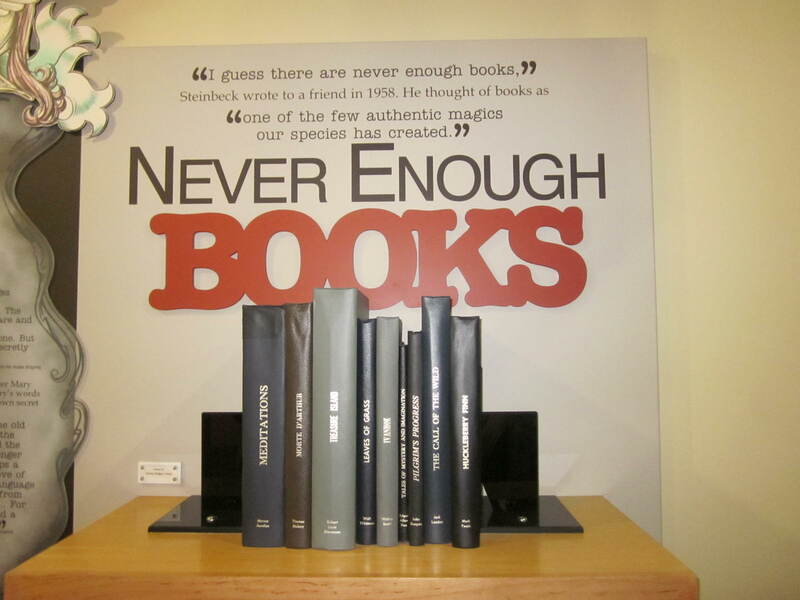 The National Steinbeck Center is definitely worth a visit. I just wished I could share the experience with my friends at Bleakhouse Library who I had shared Of Mice and Men with in my Make Friends with a Book group. And I definitely agree with this. Happy birthday John Steinbeck. 112 on February 23rd 2014. I have just discovered that in two days time it is your birthday, whilst looking up the links for this post. Synchronicity, perhaps? The Celestine Prophesy, which helped me understand this concept is also about travelling. And it has just occurred to me that I will be looking at camper vans on your birthday. Not planned, only because I have won free tickets to the Caravan and Camping Show. Perhaps it is meant to be? So, that like you, I can go on another road trip. 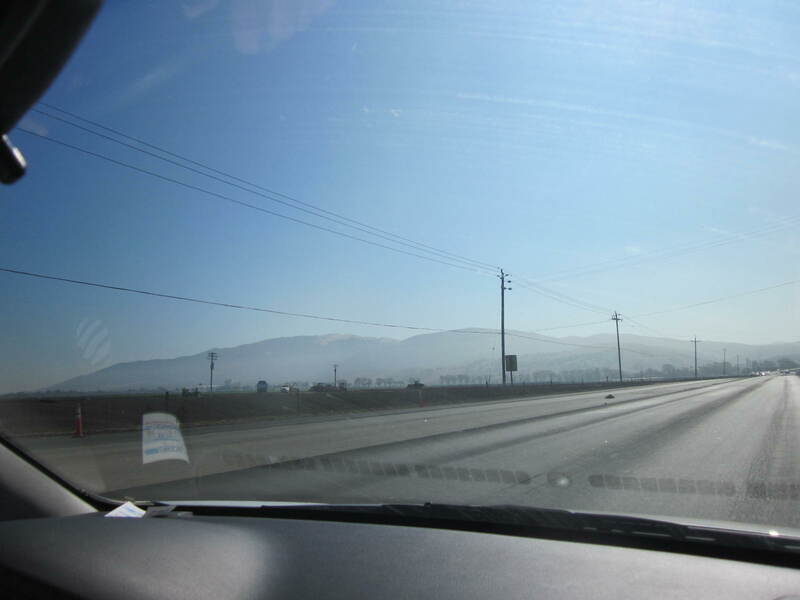 This entry was posted in California, Community, Health and Wellbeing, Libraries, Shared Reading, Travel, USA and tagged library, Monterey, Of Mice and Men, Salinas, Steinbeck, Synchronicity, The Celestine Prophecy, Travels with Charley by Travelling Coral. Bookmark the permalink.